Placental atherosis, light micrograph of a section of a placenta from an emergency caesarean section. 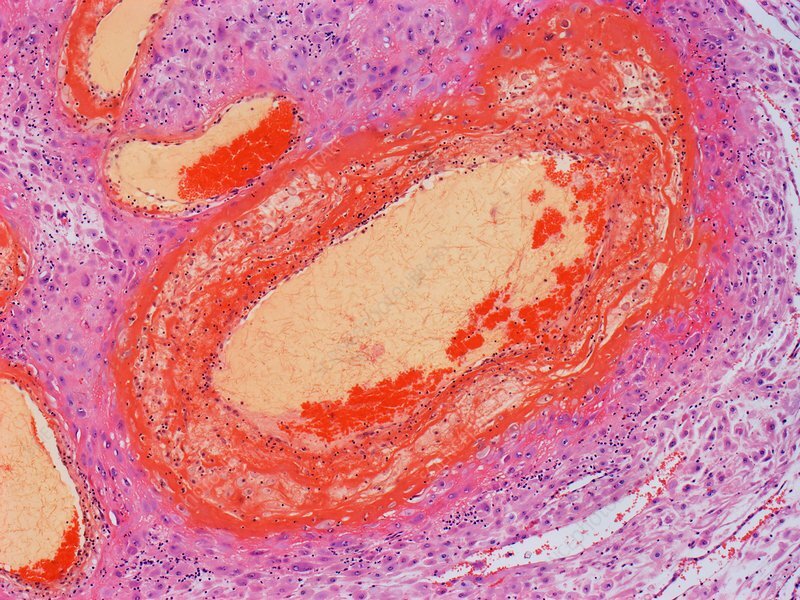 Acute atherosis is a maternal vascular lesion observed regularly in cases of pre-eclampsia and intrauterine growth retardation (abnormal fetal growth). This histopathology is characterized by fibrinoid necrosis of the blood vessel wall, an accumulation of lipid-laden macrophages, and a mononuclear perivascular infiltrate. Magnification: x 150 when printed at 10 centimetres across. Human tissue.